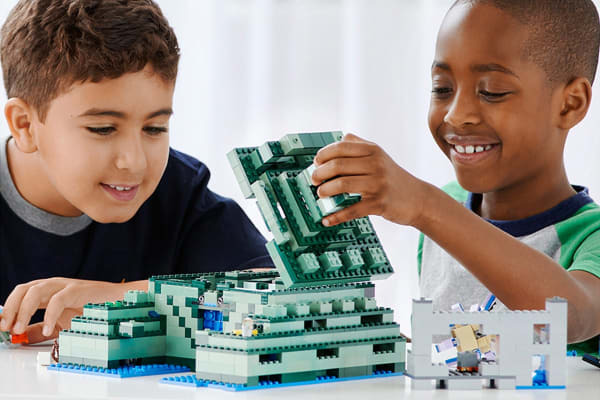 Enjoy hands-on Minecraft adventures featuring your favourite characters and objects with the LEGO Minecraft The Ocean Monument set, designed for young fans of the highly successful sandbox video game. Head for the depths of the Minecraft sea to discover the Ocean Monument. 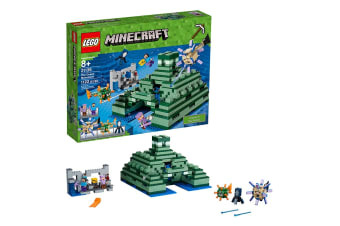 Battle the elder guardian with spring-loaded shooter, activate the dry sponge function to enter the monument and locate the lever to open the treasure chamber full of golden blocks. Accessory elements include enchanted armour, golden blocks, wet and dry sponges, bucket of milk and a Potion of Water Breathing and a Potion of Healing. 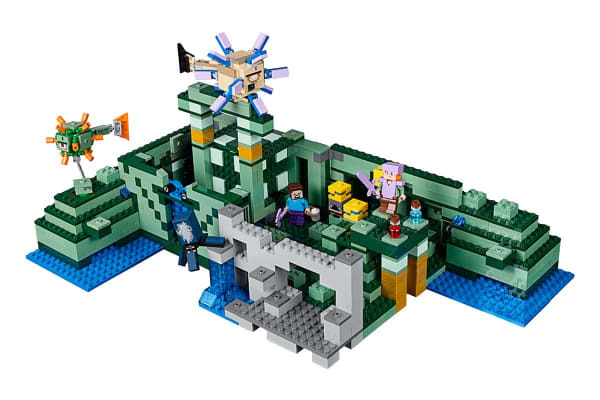 The LEGO Minecraft The Ocean Monument set includes Steve and Alex mini figures, plus squid, guardian and elder guardian figures.